↑U.S. 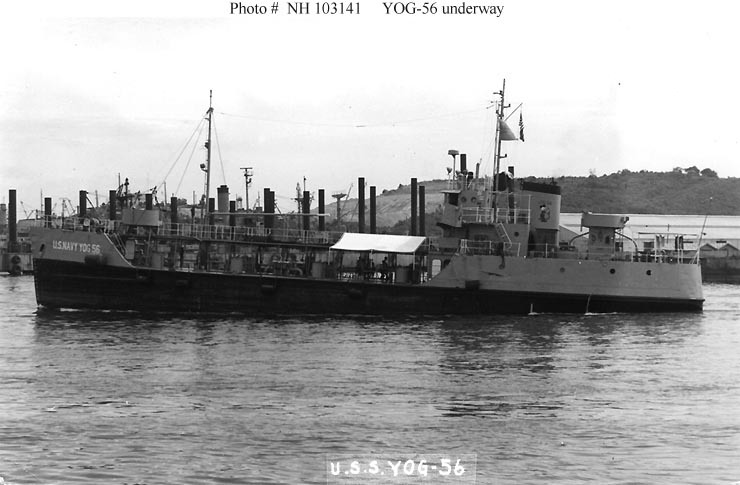 Navy Gasoline Barge YOG-56. Underway in harbor, circa the 1950s. The original image was printed on postal card stock. Donation of Dr. Mark Kulikowski, 2005. U.S. Naval Historical Center Photograph. ↑Samui (832) ex-YOG-60. Image courtesy of Shipbucket.